Miami Carnival Parade is 9 AM - 11 PM. 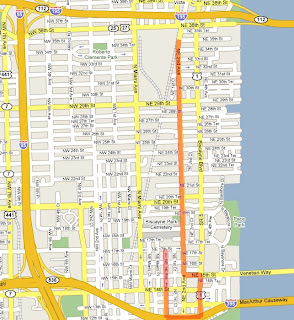 Parade starts at 11:00 a.m. on NE 2 Avenue between NE 29 and NE 35 Streets (1 block West of Biscayne Blvd.) Proceeds South on NE 2nd Avenue, East on NE 13th (or NE 15th*) Street, South on North Bayshore Drive and into Bicentennial Park and Ends at the Festival Site/stage on NE 17th Street. Directions: I-95 North/South to #112 East. Exit at Biscayne Blvd. Drive South on Biscayne Blvd. Discounted Parking available in the area. Route is highlighted in 'RED'. *Not certain the exact street!